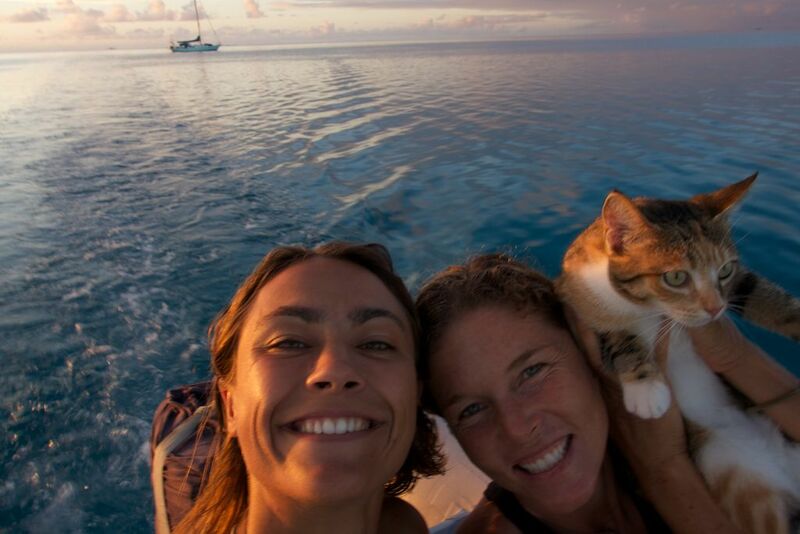 Last year I got to meet fellow Patagonia ambassadors Kimi Werner and Léa Brassy for the first time. Patagonia generously arranged for all of us to meet upon the waters of some remote atolls that have come to be my beloved backyard and playground. From all that I knew about them, I expected we’d have an enjoyable time but I never imagined that we would connect in such a way that, by the end of our time together, it felt like I had gained two sisters. The videos above and below are compilations of our time together, beautifully created by Patagonia. All three of us share similar interests—wilderness, wildlife, waves, conscious eating, etc.—but I feel like it was our open minds and hearts that made this time together so genuine and so special. 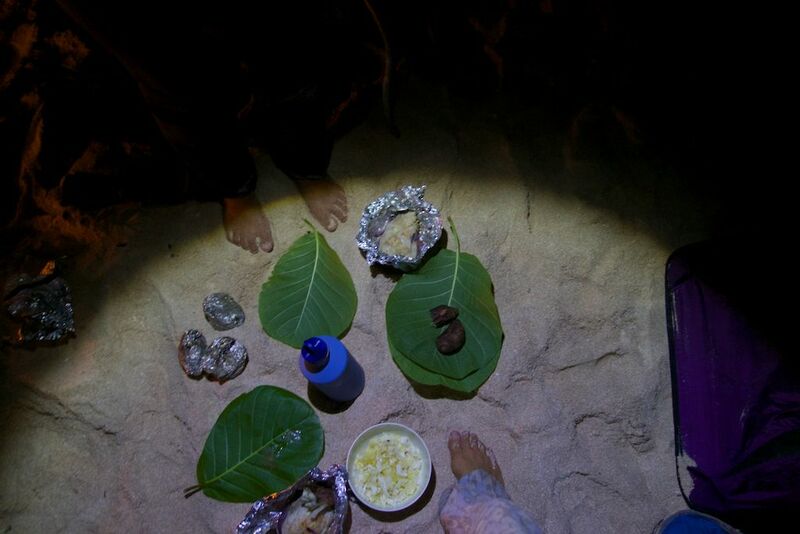 Whether we were diving, sharing waves, giggling under the stars at night, wandering on the motu looking for coconuts or just watching the seabirds circle and dive, it was like they saw exactly what I saw: divinity, freedom, peace, respect. Being with Kimi and Léa in nature felt like being completely understood. Kimi shines in and out of the water, but being underwater with her was like swimming with a real mermaid. She’s completely in her element down there. Kimi dives with a beautiful combination of feminine power, humility and wisdom. She’s excited but calm, confident but cautious, and so very present and aware of everything that’s going on around her. She doesn’t try to control what happens. She lets go and stays open to whatever comes, something that I have had to learn as a sailor. She honors the process of fishing from start to finish, everything from prepping her equipment to cleaning her catch to putting love into it as a meal to share with her friends and loved ones. You can tell she sees the whole as a sum of each part, none more important than another and all sacred. 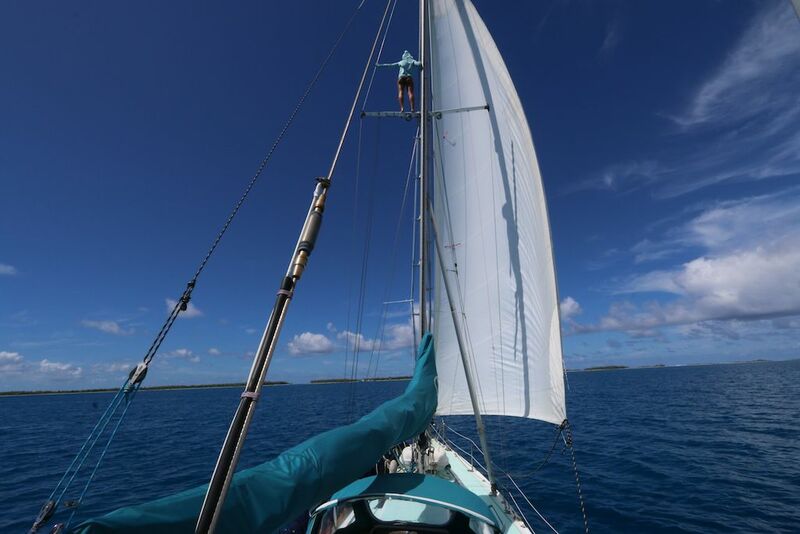 Lea faithfully standing watch up the mast for coral heads in the uncharted lagoon waters. One of the most beautiful dynamics of our time together was how open and excited Kimi was about teaching Léa to spearfish. Léa is a powerful lioness. She’s fearless and has the kind of drive and fortitude that makes her successful at anything she wants to do. She’s a natural athlete and powerful waterwoman. Instead of seeing Léa as a threat or taking up her time, Kimi embraced Léa’s desire to learn completely and wholeheartedly. So often our society encourages women to compete rather than cooperate and we end up losing out on so much. When we come together and help each other to be our best, it opens up channels of new power within us and enriches our lives beyond measure! Their relationship was a beautiful example of this. Léa’s respect for Kimi, and the patience and joy with which Kimi imparted her wisdom and passion to Léa, were absolutely inspiring to witness. Under such loving and gracious tutelage, Léa excelled quickly and brought back some gorgeous fish. 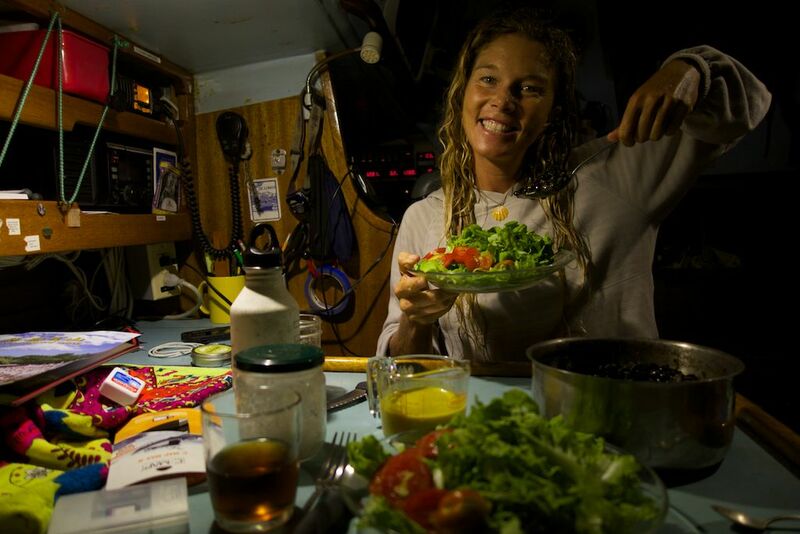 Since turning to a vegan diet, I have lost my appetite for hunting, but in the area where we were sailing, the fisheries are still plentiful and I felt ok about eating some of their catch since it was taken with the utmost respect, consciousness, and love. 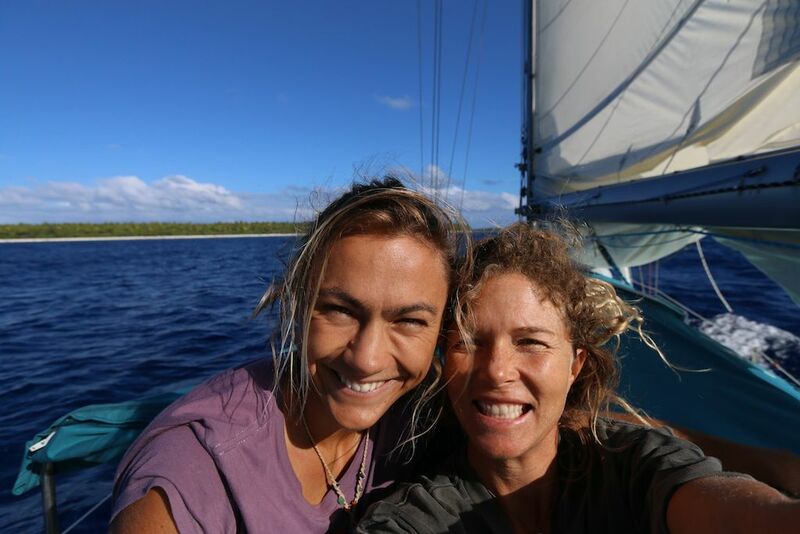 Léa stayed aboard Swell longer than Kimi and we sailed together for a few more wonder-filled weeks. She was so helpful as crew. She wanted to learn everything, carry the heavy loads and experience the dirty work. The way that she looked out at the open horizon or the empty lineups, it was like she understood exactly why I do what I do. We felt so free. In those wild corners of the Pacific, with no one around, we could howl at the moon, wear any sort of odd ensemble and go a week without brushing our hair. We made no plans. 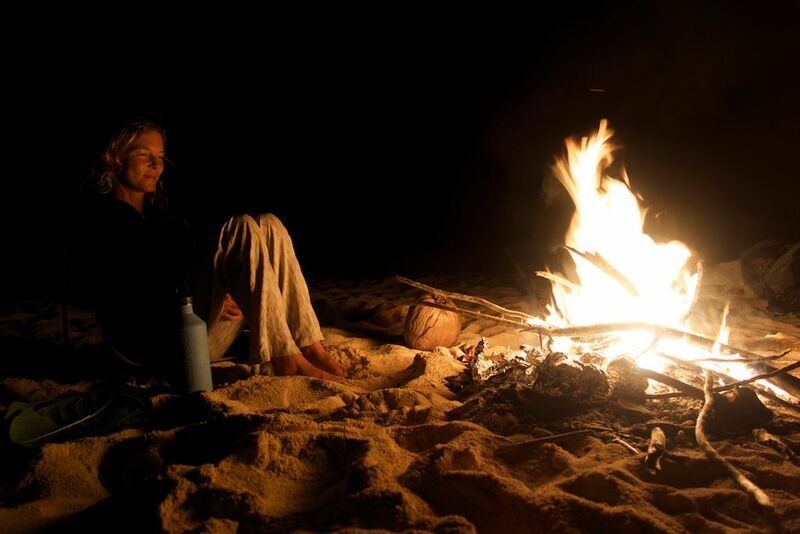 We just flowed with the weather and swell, enjoying series of magical experiences together: bathing in turquoise sea rivers, cooking over a fire on an empty beach under a zillion stars, underwater backflips with mantas, morning yoga, flawless surf, holding hands while swimming with humpback whales. At one point we got into some pretty messy seas on a passage. We were both wind-chapped, salty and seasick, but loving it! I never thought someone so seasick could be so happy. Even if it meant nausea, sleeping in the rain, exhaustion or uncertainty, the freedom and the adventure was worth it and Léa was game for it all. There’s something about having these kinds of adventures with girlfriends that’s so empowering and nurturing to the female soul. My time spent with Kimi and Léa really helped validate who I am and where I’m headed right now. Every moment we shared was positive, authentic and encouraging. We cooperated with one another, learned together and supported each other. Our hope is that this journey will inspire other women to come together in similar ways. The steps we take toward chasing our dreams and becoming the best versions of ourselves are steps taken not only for each of us individually, but also for the rise of the humanity too. So, go sisters, go! Break the mold, follow your heart, don’t be afraid to be who you truly want to be! Move towards friends who lift you up, share, don’t add drama to your life, and always want the very best for you! Kimi proudly serving up her catch! 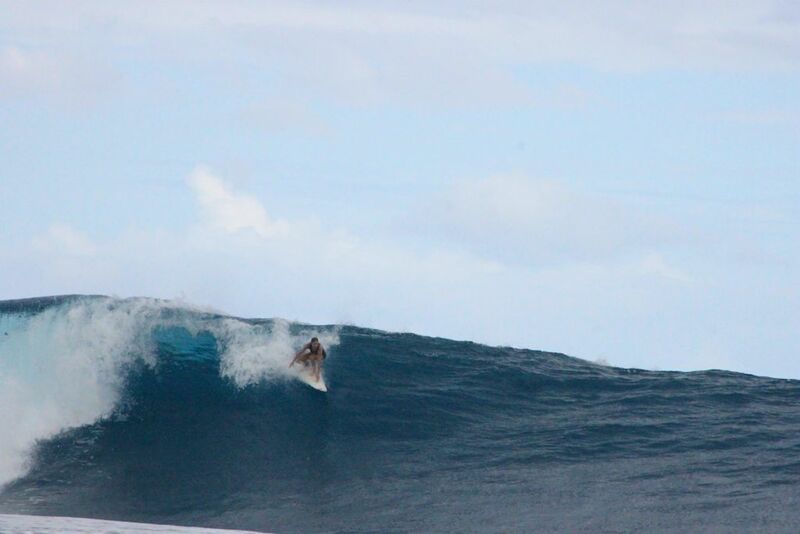 Lea setting up on a solid one. Rewards after a rough two day passage. Nothing warms the soul like time with your girlfriends and a beach bonfire!! 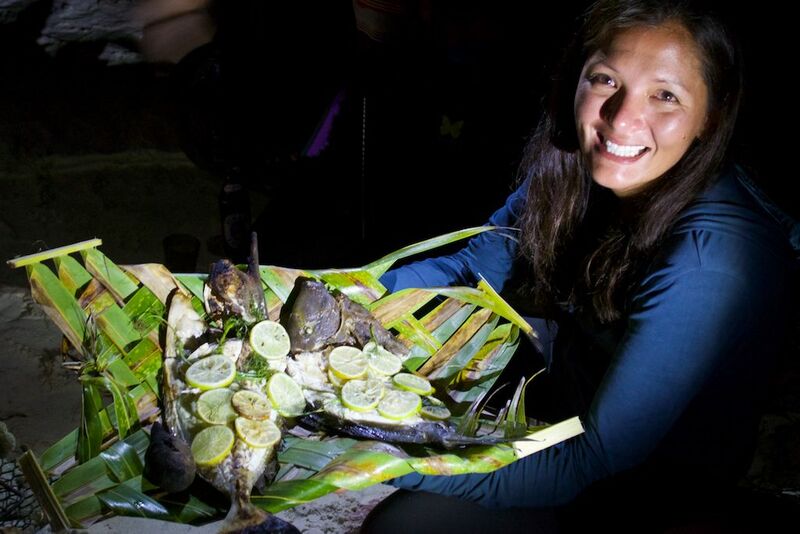 Simple yet ultra satisfying beach dinner of Lea’s fresh-caught fish and some local sweet potatoes cooked on the fire. Leaf plates too! Headed to land to bath in the turquoise ocean rivers pouring into the lagoon…well, not Tropicat…she was busy climbing trees. Whipped up a vegan meal after finding a local permaculture farm to restock our veggie supply! Ah, I love reading your writing. You so well put to words your life that it really makes me feel like I get what you are going through. What a joy for you to live this way, and to have been able to travel and venture with like-minded sisters. Thank you for sharing so much. It is always a treat to read. to light to us some of the other parts of your friend, other than her slaughtering of the fish, no? dietary needs and choices, but would like to know your thoughts in this regard. Thank you. Well said. And thank you for replying. I understand the dynamic and complexity (actually, simplicity of such a topic). who live off fish. Great people, harmless, and full of life. Thanks again. I’m inspired by your blog and website. You are a kind of Globe sister for me. I’m so happy to see a person who is doing this. I’m so happy you started while you were young. I hope you only stop when you are ready. You are a stellar Globe Hacker. You can’t really hack nature, you can only learn from nature, or learn how things work and then add your choices and creativity to the mix. You’ve done that so well. Solutions my friend, solutions are always all around you. Take good care! Fair winds and challenges. Just came across a video on Youtube talking about your adventure with Swell, and I love it. Only thing that makes me sad is the fact I waited so long to try and do the same. Like U, I started to look around me and wonder WTH we are doing to our environment. As I am in Europe, I am lucky over here we understand a bit better we need to change our ways to save the planet. This awareness and some other things that happened in my life made me decide I had to do a 180. And that’s what I am trying to do now lol. At present I’m building a 30 ft Tri which is going to be Ocean ready and I hope, one day, to “untie my lines” and leave, in my eyes. the environmental unfriendly world to visit cultures and countries that are far more friendly and supportive of eachother. Perhaps one day, if u keep on sailing the world, we will cross paths. 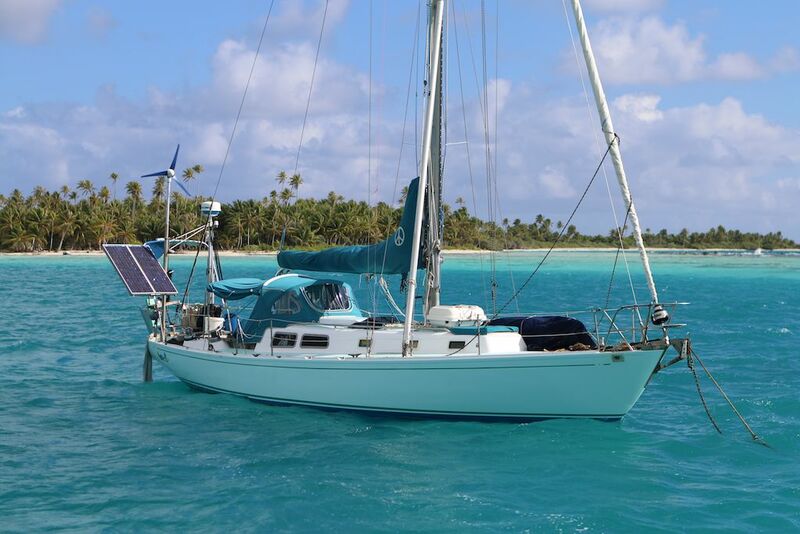 Untill then, fair winds, calm seas and be safe. my cousin. I am no longer positive whether or not this put up is written by way of him as nobody else recognize such targeted about my difficulty.